Marcus Brigstocke is to play a show in Stockdale as part of his new tour. The TV comic will bring his brand new show Why the Long Face? to Stockton’s ARC on Wednesday 5 October 2016. Why the Long Face? sees Brigstocke flex his sharply observational stand-up muscles on a heady mix of the current political climate, being single, terrorism, the media, tax dodging corporations – and did he mention being single? 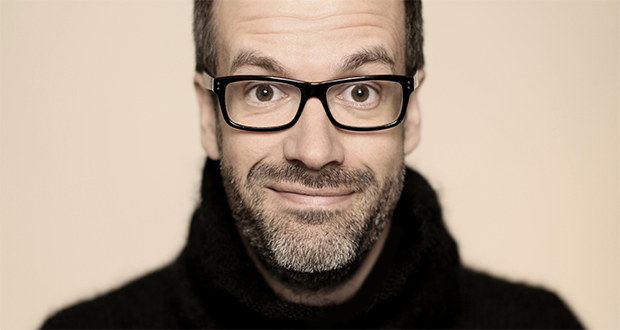 Since winning the BBC New Comedian Award at the Edinburgh Festival in 1996, Brigstocke has firmly established himself as one of the country’s finest comedians and broadcasters, with a string of sold-out UK stand-up tours and international comedy festivals under his belt. A fixture on BBC Radio 4, Brigstocke regularly appears on The Now Show and Just A Minute, and boasts a string of TV credits including Have I Got News For You, Would I Lie to You and Mock the Week. Graham Ramsay of promoters Ten Feet Tall, who worked alongside ARC to bring the show to Stockton, said: “Marcus is forever popping up on telly and the radio left right and centre. But we love him best as a stand-up, right there up on that stage absolutely owning the place. Tickets for the show are £16.00 and are on sale now from ARC’s Box Office.